Eschew the tourist crowds and head to Castello di Amorosa and Ferry Building Marketplace. Change things up with these side-trips from San Francisco: Muir Woods National Monument (in Mill Valley), Berghold Vineyards (in Lodi) and California State Railroad Museum (in Sacramento). Dedicate the 6th (Sun) to wine at some of the top wineries in the area. And it doesn't end there: take in the views from Golden Gate Bridge, head off the coast to Alcatraz Island, engage your brain at California Academy of Sciences, and take in the awesome beauty at Twin Peaks. 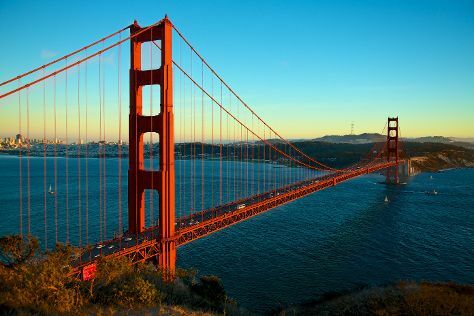 To see reviews, where to stay, and more tourist information, refer to the San Francisco driving holiday planner. In January in San Francisco, expect temperatures between 59°F during the day and 46°F at night. Finish your sightseeing early on the 6th (Sun) so you can travel back home.